Although this graph only goes back to 1988, we'd still find that recent YOY growth is the highest ever, even if we go back to the earliest data recorded by this survey (which was in 1982). 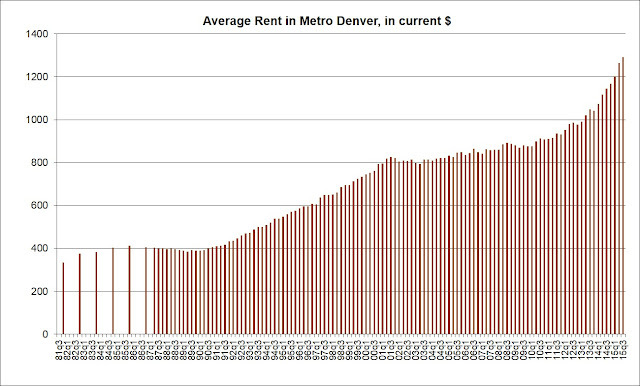 We can safely say that we're now experiencing the highest levels of rent growth seen in thirty years. 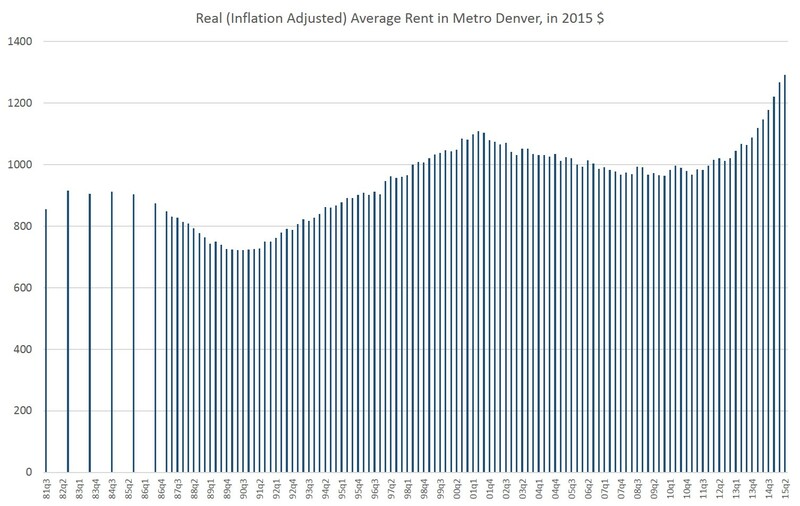 When we adjust for inflation, we find that real rents were fairly high even by today's standard during 2000 and 2001. 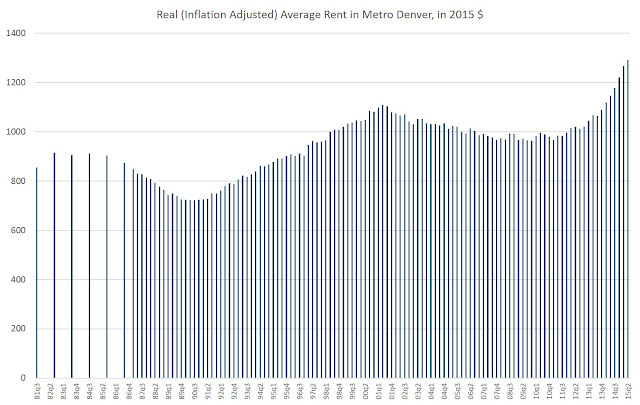 Back in the 4th quarter of 2000, real rents had peaked at $1,085. They would not reach that level again until the 4th Q of 2013. 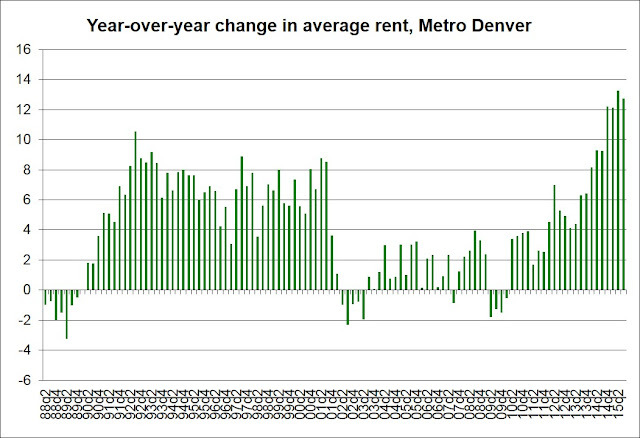 Since then, rents have been regularly reaching new all-time highs. Also note that rents were going down in real terms between 2001 and 2009. Those were the days when, in real terms, your rent actually went down when you renewed your lease. For now, renters are facing some of the biggest rent growth ever, both in nominal terms and in real terms. This data is for multifamily rentals only. "Multifamily" means structures with more than four units.